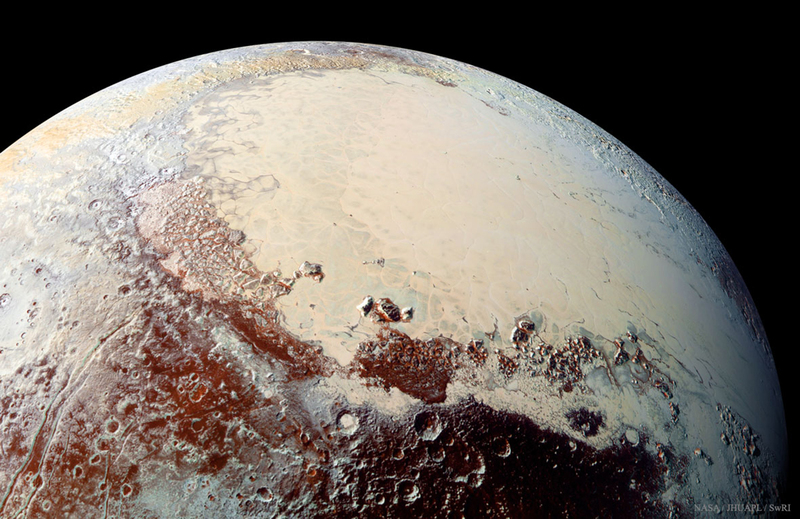 I love that I immediately recognized this as Pluto when it turned up as today's Astronomy Picture of the Day. It never stops feeling miraculous to me that the icy not-quite-a-planet that was shown as nothing more than a dim star in my college astronomy textbooks can now be seen in so much detail. Image Credit: NASA, Johns Hopkins U./APL, Southwest Research Inst.